Recently I wrote a blog post on black hat SEO. The comments exploded. At the time of writing, the black hat post had 162 comments. The article didn’t even do that great from a social media sharing perspective. Even without big time sharing, things were heating up in the comments (in a good way). People were writing long comments. I loved it! It was like I had gathered a group of SEOs together in a bar. We were talking, laughing, swapping war stories, and having a back-slapping good time! That’s the power of a great article. It brings in comments, creates community, and multiplies value. But you know what’s kind of sad? A lot of blogs have stopped allowing comments. I understand where they’re coming from. But in my opinion, comments are a great thing! For the many marketers who are in favor of blog commenting, I wrote this for you. I want to show you the things I’ve done on my blogs to generate tens of thousands of comments over the years. And if you want to join this discussion, feel free to leave a comment! Learn how I created an engaged blog audience that comes back to the site 40% of the time and they comment on a monthly basis. Right now there’s a trend to remove from blogs the ability to comment. Before I get any deeper in the how-to of getting comments, allow me to me share others’ perspective on the issue. One of the major blogs that decided against comments is Copyblogger. Another blog, Problogger, hinted that it might be a good idea to turn off commenting. Thankfully, though, they decided to keep their comments on. Why would someone turn off comments? Comments do nothing to advance the conversation. A “gee, thanks for the article” or “wow, I agree with you!” doesn’t add much value. Comments are sometimes shallow pitches for backlinks or marketing. Yeah, I get a lot of those. Comments are mostly spam. A really good spam blocker can snag these, but I do understand this concern. Comments take too long to monitor. I know several people whose full-time job is to monitor and approve comments. Trolls. This is a real thing. Often, the more influential a person is, the more likely they are to experience jabs, hateful comments, and verbal attacks. Most commenting is happening on social media. My blog articles get plenty of comments, but there is usually 16x the amount of discussion happening on my Facebook page, Twitter, and Google+. Comments can destroy the effectiveness of an article. Those are some strong arguments against blog commenting. But removing comments isn’t the right decision for everyone. And at this point, it’s not the right decision for my blogs. Here are some of the reasons why I’ve chosen to leave comments completely on. I connect with new people. I provide personalized value to more people. I find out what people want to hear more about. I understand what gets people excited or angry. I benefit from seeing different angles to a conversation. I can tell how popular an article is based on the number of comments. I grow by having my viewpoints challenge. The community steps in to help one another with issues. I discover areas of concern or confusion that I can address in future blog articles. People fill in the missing gaps from my article. People add additional research and findings. People share stories that add a lot of color and interest to the article topic. People get connected with each other and provide value to the community. If it weren’t for blog comments — for those of you who chime in and speak up — my blog would not be nearly as valuable as it is today. I constantly learn from people who share feedback and information in the comments. Thank you. I’m very grateful. What motivates people to comment? When you dig into the psychology of it, blog commenting is fascinating! Humans “are wired to connect” to other human beings. It’s in our DNA. The cycle of communication and response is constantly in play, even in a digital environment. This cycle produces emotional engagement. Even that sense of “belonging” that we all feel is in part satisfied through digital communities and online interaction. Psychologists and motivational theorists, place digital experiences and communities at the top of the famous “Hierarchy of Needs” pyramid. If you’re a thirty-something or younger, you’ve probably experienced some type of romantic experience on Facebook. At a psychological level, this is why people are on Facebook, Twitter, and, yes, why they leave blog comments. People who are way smarter than me have done a lot of research on this stuff. The fact is, today’s social environment is a digital one. In the next section, I’ll discuss controversy, and how that plays a role in blog commenting. Social connection runs two ways. People are driven to interact due to affection for others, and because of antagonism for others. If people want to lavish affection on you, they’ll express their gratitude and appreciation in the comments. If your article is a bit more controversial, then you’ll get non-affectionate comments. And that, in part, is why people leave comments on blogs. You want people to comment on your blog. You sorta know why people might comment on your blog. Now, you need to connect the dots and make sure that people do comment on your blog. Quick disclaimer first. You probably won’t get 162 comments on your blog if you have low traffic. If your Analytics looks like this, you should first work on building traffic. Then, you can work on generating comments. How much traffic do you need to sustain 100+ comments? My early blog articles were gaining 100+ comments pretty quickly, even though my traffic was really low. Keep in mind, that those articles did not instantly gain 100+ comments. Some of the comments trickled in years after the article was first published. Here’s the bottom line: You need traffic in order to have comments. But you don’t need a ton of traffic. 1. Choose the right topic. A comment-worthy blog article begins with the right topic (and title, as I’ll explain below). If you pick a boring topic, it will inspire a boring response. In other words, no one will comment. The “right topic” — one that will get comments — doesn’t have to be controversial. In fact, one of most most-commented on articles was a pretty generic topic (how to start a blog). The right topic has several qualities. It’s a topic people are interested in. 2. Write from the first person. I write from the first person. Always. Since I don’t have any experience with any other writing style, I’m sharing exactly what I’ve done. It has worked for me. Writing in the first person means that you use the words, I, me, my, mine, and don’t hide the fact that you an actual human being writing the article. That’s what communication is for — one person getting a message across to another person. If you think that first-person writing is arrogant, please don’t worry about that. The motive behind first-person writing isn’t arrogance. It’s about being normal. Just write the way you talk. Am I self-obsessed? Nope. I’m just chatting with you. It feels forced and stiff. Why not just say, “I believe” and make it easy on us? Writing in the first person makes your writing authentic and personal. And that invites comments. It’s also important to be transparent with your readers. The reason this is important is because you want your readers to trust you. I don’t mind sharing some details about my life. And that’s probably why the article above got so many comments. If you’re transparent with people, they will be transparent in return. That’s how relationships work. Let’s say you’re getting to know someone. You’d slowly let them into your life by telling them about your beliefs, your likes and dislikes, how your day went, etc. What would it be like if you never shared anything like that? Being transparent with others helps them to open up to you, and it encourages them to give back. This principle of human reciprocity works in blog commenting as well. You wrote a blog. It took you four hours. People like that. They return the favor by writing a comment. 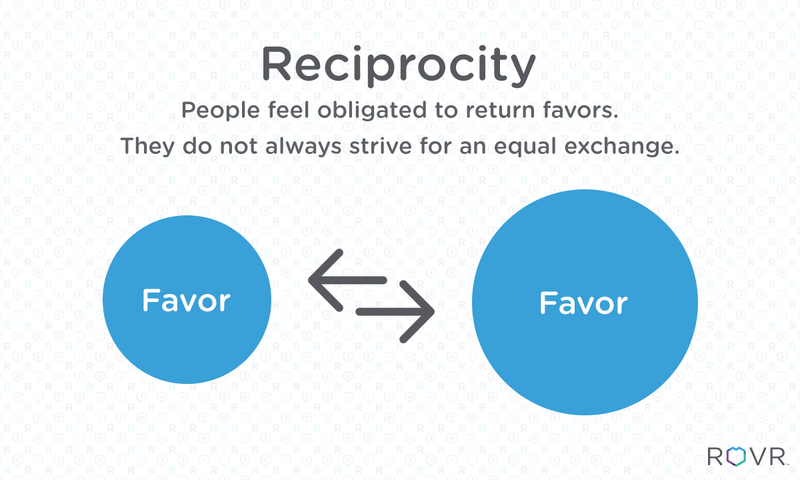 The great thing about reciprocity is that it has a ripple effect, too. When people start commenting, it’s not just a one-to-one conversation. There are multiple people interacting among each other, sharing and giving value. Once you’re willing to be transparent, you’ll start to get comments. United States Senators get thousands of calls each day. And when they screw up or take a controversial stand on something, they get tens of thousands of calls, emails, letters, and probably a few death threats, too. Wow. And I thought I got a lot of phone calls! Why are these people getting buried by correspondence? Well, I guarantee you that the majority of those phone calls and emails aren’t love letters or fan mail. Politicians take a stance on issues, and people respond to that — sometimes with anger and hatred. I’m not telling you to be mean, angry, cruel, or divisive. You can be the kindest and most pleasant person on the planet, and still take a stand and get lots of comments. Contributing something to the conversation that no one else is. Contributing in a different style from others. Stating your position on an issue with as much explanation or rationale as you think is appropriate. Respectfully taking an opposing viewpoint to a popular opinion. Back it up with clear arguments. I’ve already done that in this article. I shared the viewpoint of people who choose to remove blog comments, and explained why I think that commenting is a great thing. I took a stand on a controversial issue. If you’re trying to be controversial for controversy’s sake, forget it. Some bloggers try to do it, but they lose respect fast. Hateful name-calling and aggressive language aren’t “taking a stand.” That’s called being a bully. Do such articles get comments? Yes, but mostly comments from other angry people who want to shake their fists. This does little to add value to other people’s lives or to the world at large. I’m not afraid of appropriate controversy, but I believe it’s a waste of one’s life to go around acting like a bully. 5. Go deep with your content. Some of my most-commented articles are also some of my longest articles. I used to think that if I wrote too much then people wouldn’t bother reading it. Instead, the more I wrote, the more people read, engaged, shared, and commented on the articles! Not long ago, I wrote an article that was more than 10,000 words. Do you know how long it takes to read 10,000 words? It takes 76 minutes. That’s more than one hour! A lot of my readers are from other countries, and English is not their first language. Their reading speed is slower, and so it took them longer to read the article. The surprising thing about that article? So far it has 757 comments. You don’t have to write 10,000 word articles, but it sure does get comments! People crave really good insightful content. Satisfy this craving, and they’ll probably comment. 6. Hook people with the title. I had this sad realization the other day. A lot of people who visit my website don’t even read my articles. How do I know this? Scroll maps. This doesn’t bother me, though. As long as I write a good title, then people who don’t read it will share it with others. The people who do care will read it, and get value from it. If I get my titles right, I get a lot of comments. It’s that simple. In fact, some people might comment on an article simply because of the title! 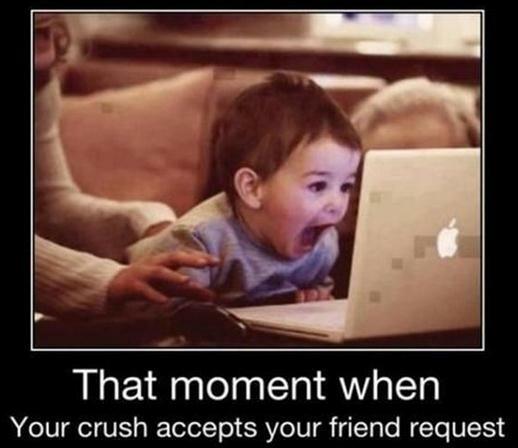 This happens a lot on Facebook. As long as we have an informed, civil, and valuable conversation, I’m happy. And it only took a few words of copy — the headline — to spark that discussion. If you want to have a conversation, you have to start it. Most of the time, I ask a simple question at the end of my articles. Do people answer the question? Not usually. Haha! I ask a question simply to get people thinking. Plus, it shows that I’m interested in hearing from them. That’s the whole point. If you can communicate, “Hey, I’d love to hear from you,” that opens you up to receiving more comments. I know that my article is not life’s final word on the issue. I want to hear from others. Many times, I’ll ask for personal stories or other advice. 8. Make it easy for people to comment. Some blogs are really hard to comment on. Take this article on Forbes, for example. It had a ton of views. It was also very controversial. But there was only one comment! The article had 30 comments total, which is still a pretty low number. Commenting is hard, because you have to click the text link “Comment on this story.” This text link is crowded out by ads and other clutter. When you do, a sidebar opens up. You can’t just leave a comment, though. If you click the field “enter your comment,” a popup appears. You have to create a Forbes account to comment. Whether you want to comment, follow, or reply, you have to create an account. I understand why Forbes might want to do this. But from a commenting perspective, it presents too many barriers. I say, make it easy to leave a comment. To leave a comment on my blog, here’s all you have to do. First, scroll to the end of the comments until you see the comment box. Right away, your comment is live. You can see it immediately in the comment thread. Making it this easy comes at a price. I spend a lot of time interacting with the comments. It’s a good price, though. If I start the conversation, I have a responsibility to be involved in the conversation, and I love it. The features of writing that make people comment are the same features of flat-out great writing. Maybe you don’t want comments. That’s fine! Maybe you’ve made the decision to disable comments on your blog. Totally cool. Comments or no comments, your blog is a place where people come to learn, to interact, and to gain valuable information. The conversation is going to happen somewhere, whether you’re aware of it or not. Make that conversation as meaningful as possible by creating content as valuable as possible. I’d love to see what you think about blog comments. Are you for it? Against it? And what kind of things have you done to invite more comments?